The Eastern Front was the most significant theatre of World War II. Here the bulk of the Wehrmacht was committed and eventually shattered by the Red Army in a campaign of unmatched intensity. From Operation Barbarossa in 1941 through to the final fall of Berlin in 1945, German and Soviet soldiers fought across the breadth and depth of the Eastern Front, a staggering 1,600 miles, from the Arctic north through the dense forests and marshes of Belorussia, over the broad Ukraine and arid steppe to the rugged mountains of the Caucasus. The 128 detailed pieces of cartography in this impressive atlas help to explain the fighting and physical challenges faced by Axis and Soviet forces alike. The complex combat and movement, thrust and parry, brilliance and folly are all explained by these maps and their accompanying text, providing clear historical and geographical understanding of the brutal and titanic conflict. 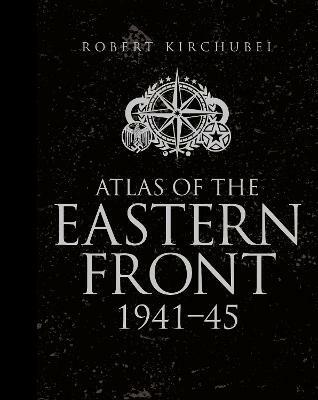 Robert Kirchubel has had a keen interest in the Eastern Front campaigns of World War II, and Operation Barbarossa in particular, all his adult life. He has already contributed work to World War Two in Europe and World War Two in the Pacific, and The International Military Encyclopedia. His three-volume study of the Barbarossa campaign is the product of several years' work and research.